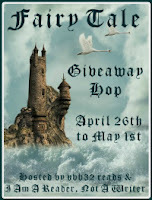 This hop is hosted by I Am A Reader, Not A Writer and features YA Books with a fairy tale theme, or fairy tale retellings. And so I present to you, The Other Slipper by Kenechi Udogu. 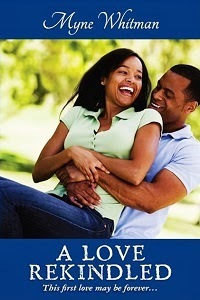 One random winner will receive an ebook copy by answering the question at the end of the post. 1. Tell me more about the book, and what inspired you to write it. I’ve always liked the idea of reworked fairytales, folklore or myths where back stories are explored. We get so used to hearing the versions we were brought up with that all it takes is a slightly different perspective to turn a story into a completely different animal and give readers something else to cherish. The idea for The Other Slipper came to me a few years ago when I was heading home from work and misread a sign for a café called “The Other Side” for “The Other Slipper”. What happened to the other slipper on the night of the ball Cinderella attended? Did someone else find it and keep it or did it never get mentioned after the ball? I couldn’t get the thoughts out of my head and even though I did some research and discovered what the true story was, the idea had stuck. The Other Slipper is an adventure story based on the idea that Cinderella’s glass slippers were part of a separate enchantment. A young palace worker, Jo, finds the other slipper on the night of the ball and realises that something isn’t right with it. She soon gets drawn into an unexpected quest to unite the slippers and return them to their rightful owner. You’ll have to read the book to find out what happens to her. I really enjoyed writing the story and I hope readers enjoy the experience as much as I did. 2. Please share a brief interview between you and your favorite character in the book. Kenechi: Ehem, good evening sir, you appear to have been travelling a long way with your two companions. May I ask your relationship with them? Locke: I’m sorry, I’m not at liberty to share that information. Kenechi: Why? Are you on some kind of secret mission? Locke: Ha! That’s not a very bright question, is it? If I was, would I tell you? Ha, ha. Kenechi: Eh, no. I guess not. But ever since you three came into town, we’ve noticed that things haven’t been quite the same. It feels like energy is being drained from everyone – people, livestock – the horses are particularly restless. Surely this can’t be a coincidence. Locke: Are you accusing us of some form of sorcery? I’d heard you people were superstitious but if this is the way you treat strangers in your town. Jo, Ron, I think we’ve overstayed our welcome here. 3. Spotlight your overall favorite fairy tale character and why? I’m not sure I have a favourite fairytale character but I have a soft spot for the three goats in Three Billy Goats Gruff. They were cunning, resourceful and funny at the same time (the version I heard as a child was on a sing-along LP so this might have something to do with it). But ask me this question next year and I’ll probably have a different answer. My “favourites” tend to change over time. To be eligible to win this book, state your favorite fairy tale hero in the comments and the book where they appear. Below are other blogs taking part in this giveaway hop. Good luck!